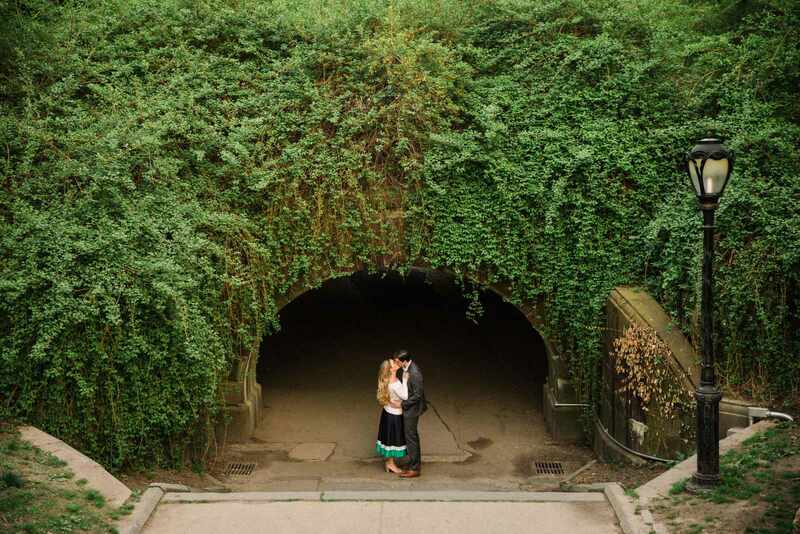 These are just some of our favorite images from this stunning engagement session in Central Park located within the heart of New York City. 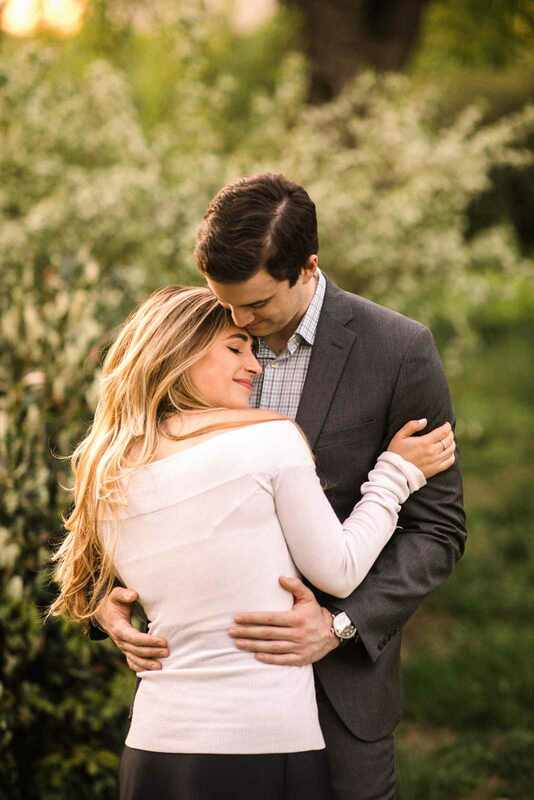 We have been counting down the days until we were able to finally meet Anna and Matt after some unexpected snowstorms throughout the winter. However, we we couldn’t have asked for a more perfect spring day in Manhattan! 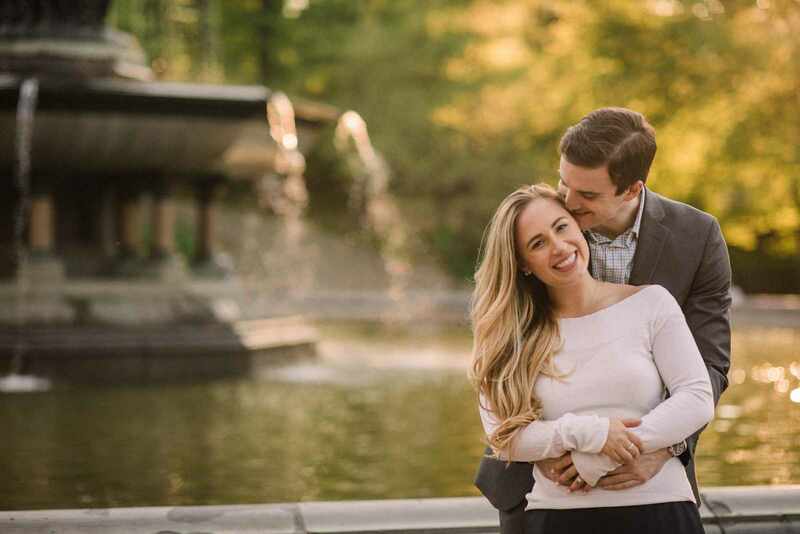 We met the pair at the famous Loeb Boathouse where first they met years ago for one of their first dates as they began to fall in love. It took no convincing at all to have them grab a rowboat and they make their way into the lake. 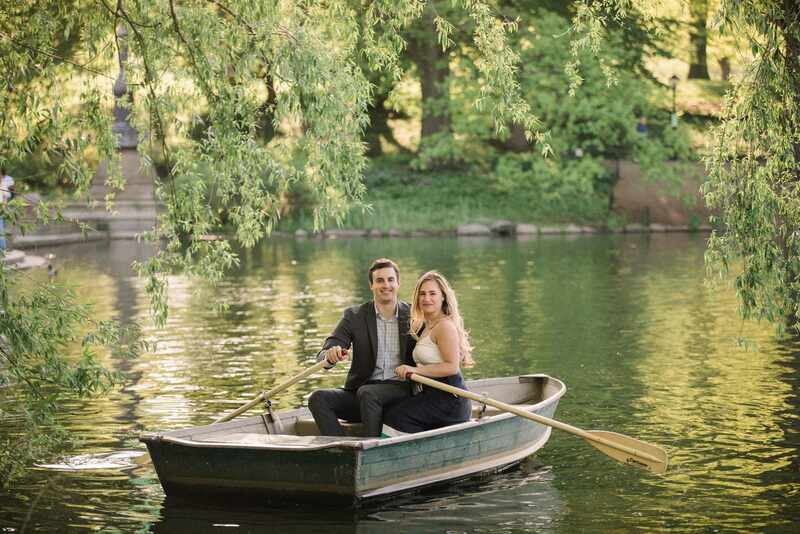 Having been on the rowing team in college, Matt was able to perfectly maneuver the boat around the lake without getting a drop of water on them. 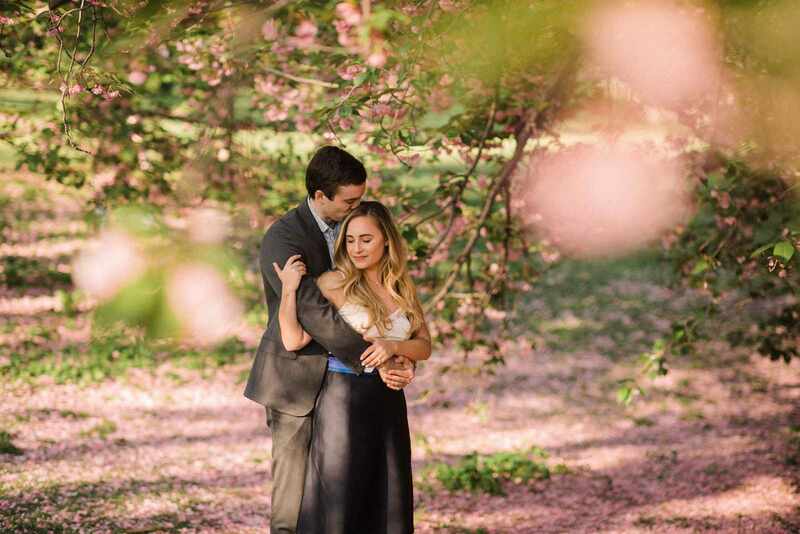 With a beautiful willow tree to frame the couple and iconic skyline in back, we captured some of our favorite and most unique photographs in recent memory. 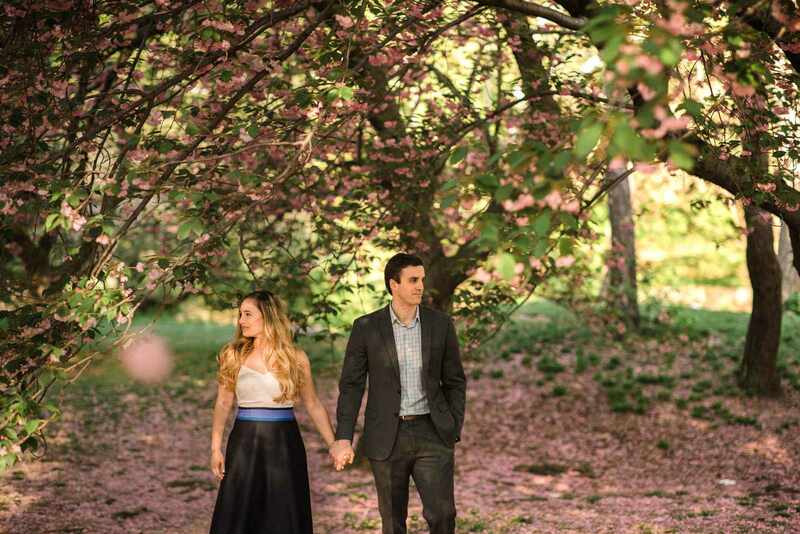 Afterwards we explored more of the park and found a beautiful flowering tree with pink and purple petals blanketing the ground. We walked throughout the woodsy paths of the Ramble where we happened a rocky outcropping extending into the lake. 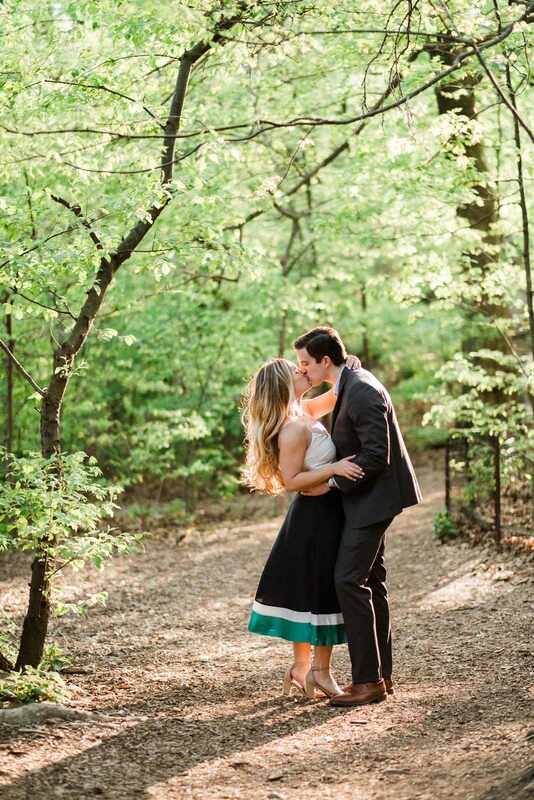 If not for the skyline in back, you would think you were deep in the woods at the end of a long hike for such a scene. 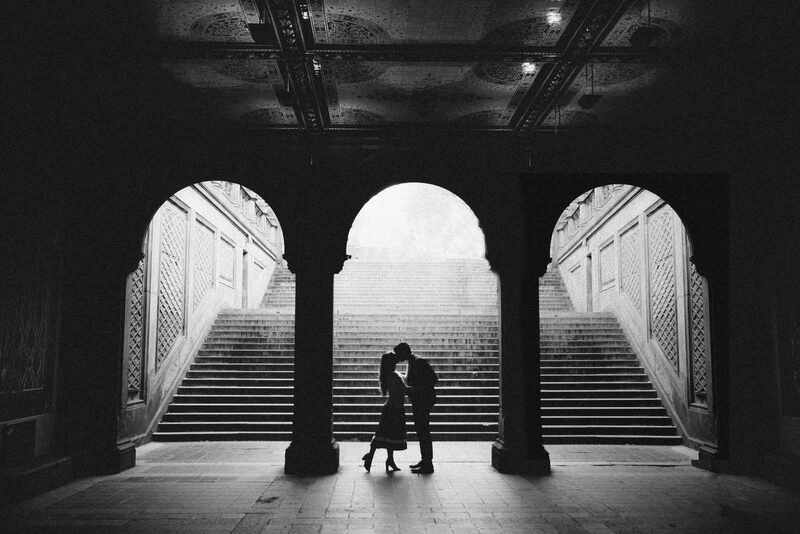 As the sun began to set we took a stop by the Bethesda Fountain and terrace to ensure we brought some of the historic architecture of the city into the photographs. 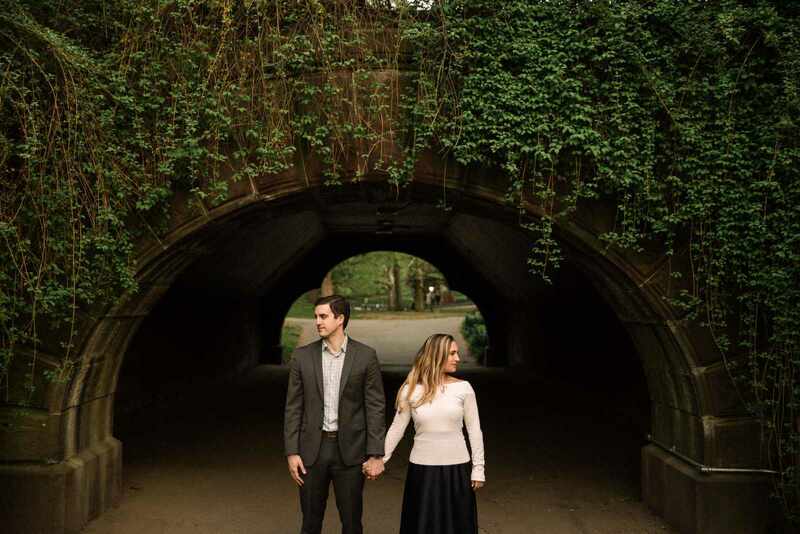 We had a blast exploring the area with the couple and photographing this engagement session at Central Park within New York. 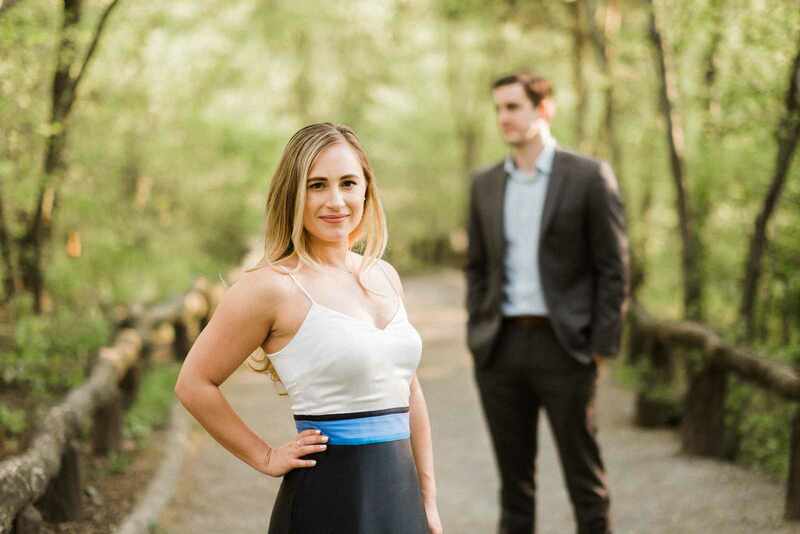 We can’t wait to photograph their wedding day this September and capture all their amazing chemistry together again. 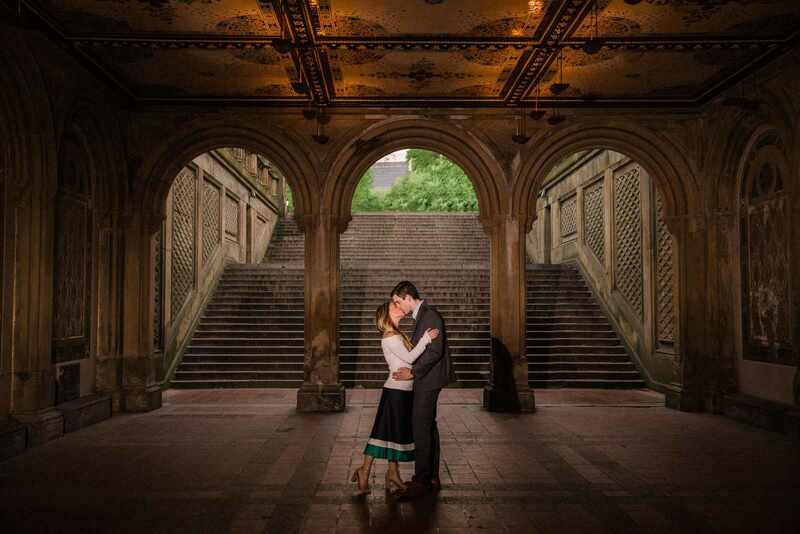 Engagement sessions or wedding photographs that take place anywhere in New York City do not require any permits. We always have to work around the crowds of people, but it is easy by careful choosing the right time of day for different locations! We have done it many times and are experts. We love to travel all throughout New York City from Brooklyn to Manhattan. 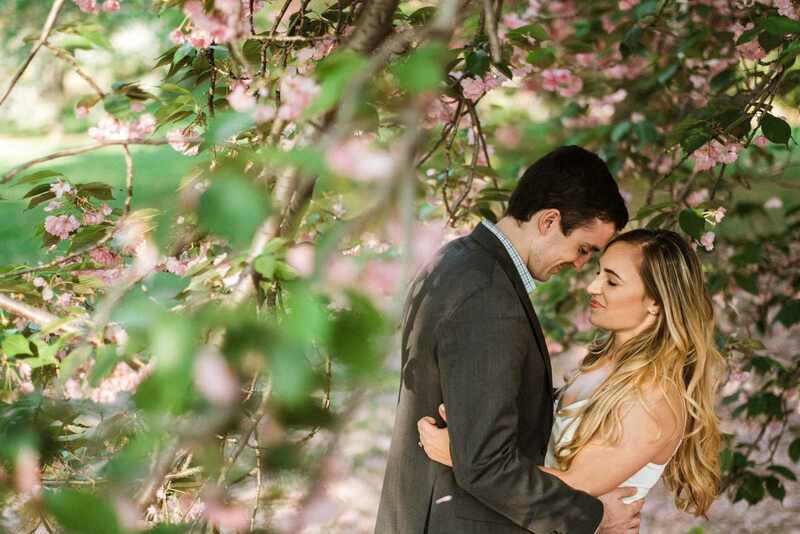 If you are looking for a wedding photographer to capture your wedding day either in New York or New Jersey, Contact Us and we can set up a time to talk more! 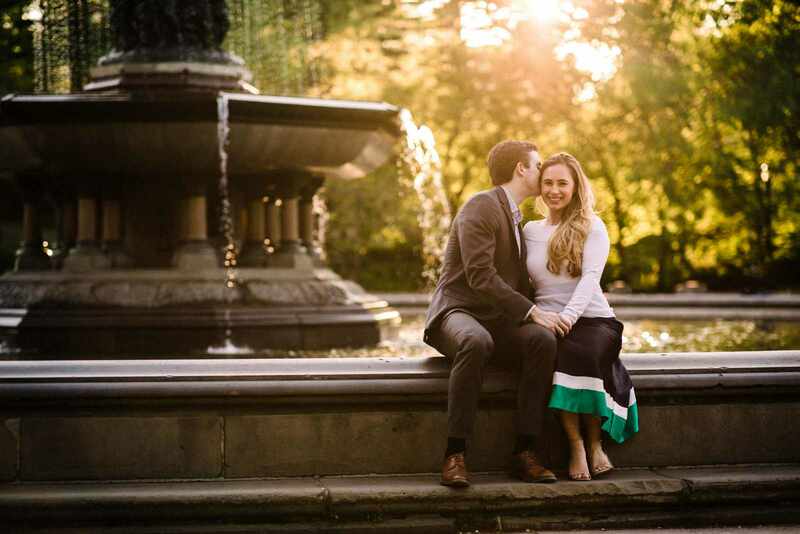 A perfectly dressed couple in a boat on a lake in Central Park for their engagement session. We love have the opportunity to capture photos that are way beyond the norm. We don’t know any other place around that you could find such perfect scene with willow tree, row boat, lake, and a skyscraper all in the same image. Other than Central Park at least! 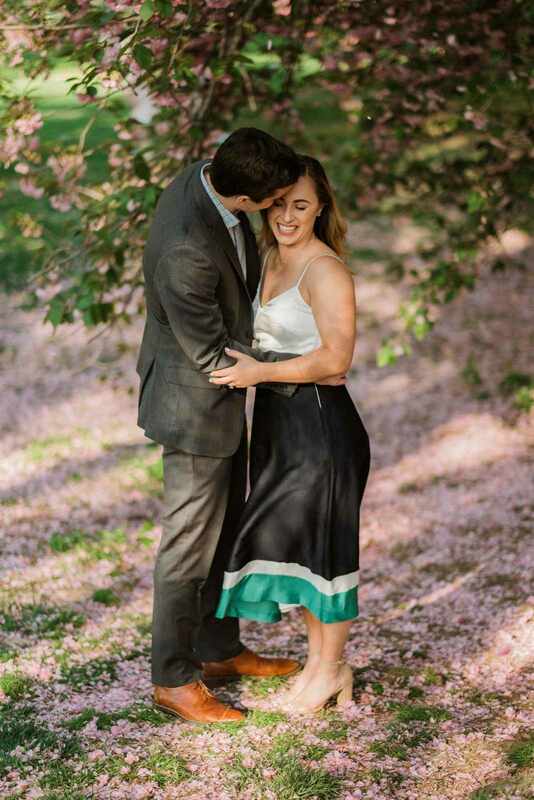 Even though it was almost summer, we still found a flowering tree to add some color to the images! If not for the New York skyline just barely visible in the back this could be anywhere along a secluded hike though the woods! 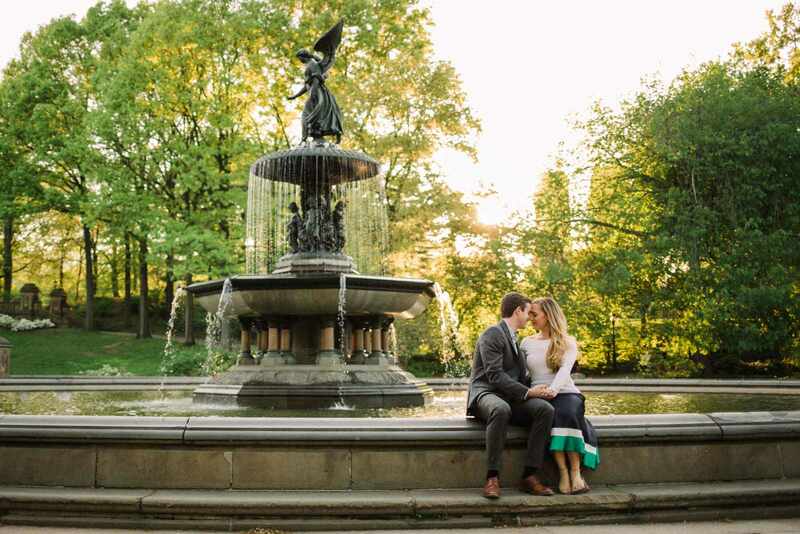 The Bethesda Fountain as the sun set late in the afternoon. We love how it makes the water and couple absolutely glow! Under the terrace as we found a quiet moment with nobody else around!